Just for fun, I invite you to share a Christmas comedy. I’m not talking about Elf, National Lampoon’s Christmas Vacation, or A Christmas Story, entertaining and humorous as they are, but your real-life holiday hilarity. If I share a Christmas comedy, will you? The (now) funniest Christmas moment in our family’s history is an episode I like to call The Great Walnut Room Fiasco, a.k.a. Christmas Brunch Gone Bad. 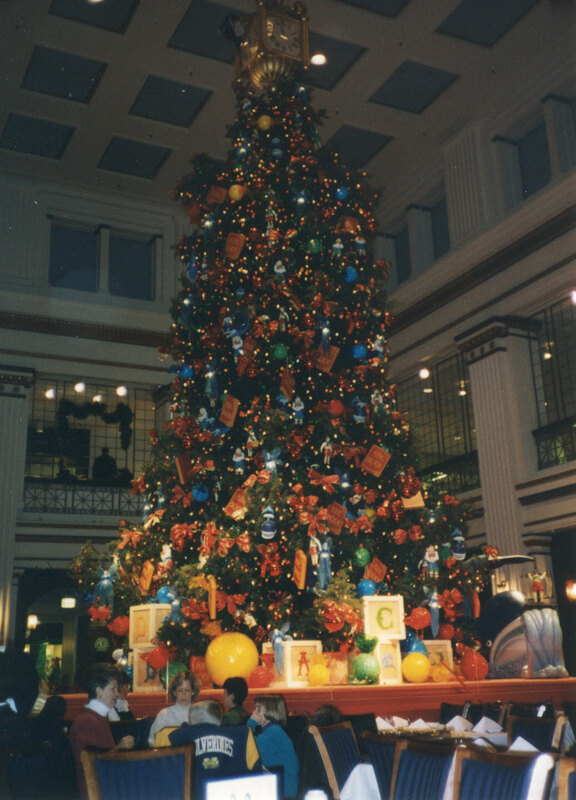 For years my young daughter and I joined a friend and her girls for an annual trip into the city for shopping and a visit to Marshall Fields’ Walnut Room restaurant. 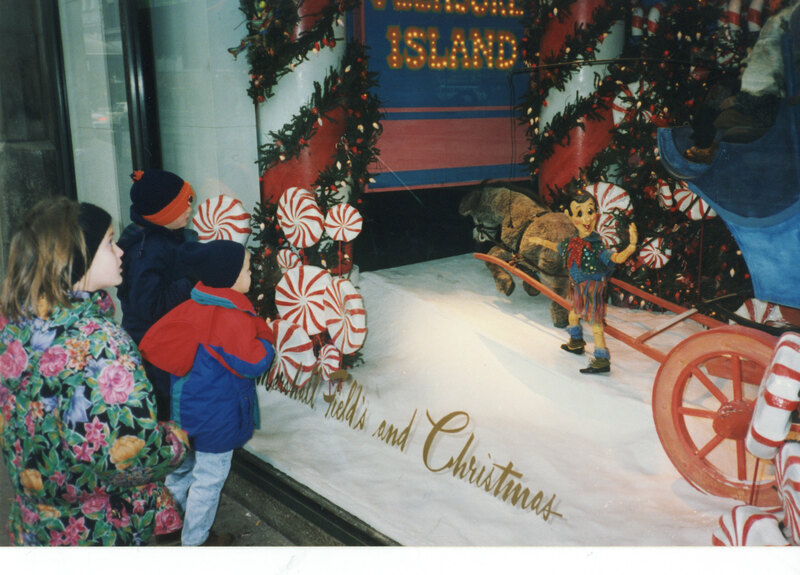 We would meet our friends on the train, walk to State Street to the sounds of bell ringers and cheerful shoppers, press our chilly noses up to festively decorated holiday windows, and warm up as we waited for a table near the magnificent Christmas tree in the center of the Walnut room. One year we decided to invite the men in our lives, our husbands and my two young boys, to join us for the holiday adventure. Amazingly, our party of ten handled the trek from the train station, waited in line, and was seated without much drama. Thinking that we had successfully met the day’s most daunting challenge, we relaxed, sipped our eggnog, admired the tree, and ordered breakfast. Then the brunch went bad. Our table was immediately silent. I stared dumbly, immobilized by the knowledge that it was a ten minute trek to the nearest restroom. My husband, showing a helpful presence of mind, calmly and strategically moved his plate toward my son, and yes, the unthinkable occurred. Right in front of hundreds of waiting patrons with nothing better to do than to scan seated tables. The waiter wisely responded quickly, and when he reached for my son’s plate, now strategically covered by a napkin, my husband said, “Be careful with that one.” His grim nod said, “I know.” Everyone probably knew. What are your Christmas comedies? I know you have some! Gallery | This entry was posted in Christmas, Family, Just for Fun and tagged Christmas, Comedy. Bookmark the permalink.